The One’s were far and away the best speakers I had set on my desk on either side of my iMac. Normally I have a pair of the wonderful little Audioengine A2 powered speakers which are still the best I have heard anywhere near $200, especially considering they include a built-in amp. As good as the A2s are, the Audience’s The ONE is in a whole different league. In the digital/video system they replaced speakers that cost five times more, my Teresonic Magus A55. The difference here is huge, but that doesn’t mean The ONE didn’t do well in this system, in fact it was amazing. The Teresonics excelled in dynamics, volume, and power, yet The ONE played music beautifully in this system. The most shocking thing about them has to be their ability to play lower than one might think. If played at reasonable levels, the ONE can provide enough bass and treble to let you enjoy most music, including a piano or jazz trio, for example. The speaker is tonally right, and has real harmonics. Audience made a decision I appreciate, one rarely made with small speakers: they did not exaggerate the mid-bass. Their midrange is truly beautiful. They are one of the least colored speakers I have heard, but not analytical at all. In fact, just the opposite: They let you hear the timbre, tone, and colors of music in a way that is easy to listen to. They have plenty of detail, especially at low levels. Voices sound very natural and that is equally true for female and male vocals. I point this out because so many small speakers add too much warmth to male voices, because of their mid bass hump. (This was especially important in my video system.) Voices are not quite as articulate or quite as transparent as the Teresonic Magus speakers, but the Audience is nonetheless quite good. 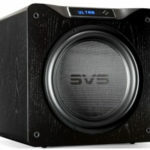 The ONE’s soundstage is all you would expect from a small speaker and a whole lot more. I discovered tiny and small speakers back in the 70s. The first three I remember was a speaker called The David, the Cizek KA-1, and the various LS3/5A speakers. The most popular were the LS3/5As; the tiniest was The David; and the best was the Cizek KA-1. 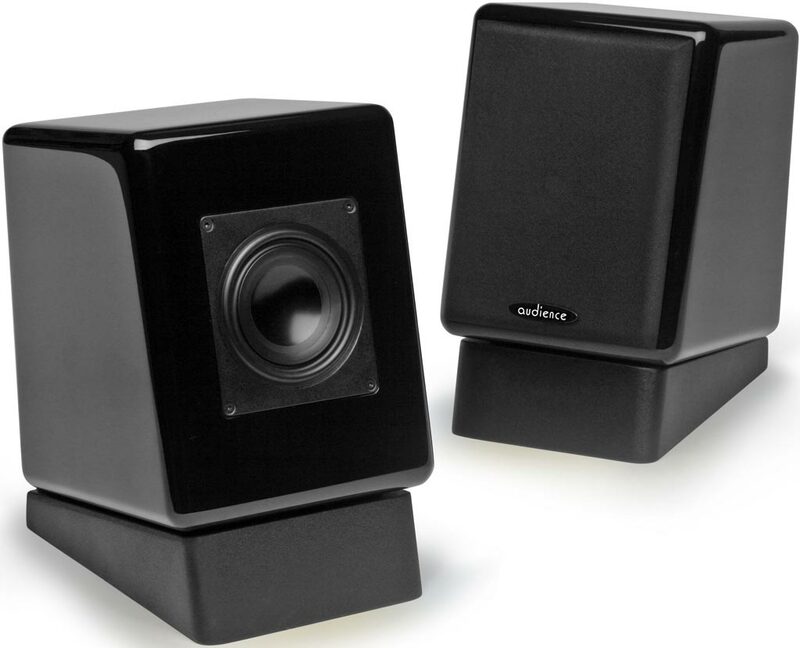 The Cizek KA-1s were the first speakers I heard to image outside the boundaries of the speakers. In today’s dollars, both the KA-1 and the LS3/5A would cost more than double the price of Audience’s little speaker. The David would have cost about the same. None of that matters except to say as respected as the LS3/5As still are today and as good as I remember the Cizek KA-1s sounding, neither are in the league with the little Audience The ONE. The ONE not only images outside the speakers and above and below the speaker, it also has scale that no one would expect from speakers even three or four times larger. 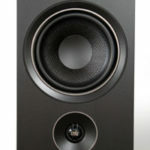 The scale of instruments and people is about 75% of what the Teresonic Magus portray and considerably better than the Audio Space LS-3/5A speakers I reviewed back in 2011. Oh, by the way the Audio Space speakers cost twice as much. The sound stage these speakers throw is wide, very deep, and has great scales. As mentioned, I also tried them in my reference system. Hooked up to my Wavac EC300B they were simply amazing. Of course, with only 10 watts from the Wavac you can’t play the Audience very loud, but you can’t play them really loud anyway. Yet, when placed about three feet off the floor and against the rear wall they really sounded amazingly like music. 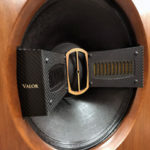 No, they aren’t the last word in macro-dynamics, nor will they rock the house down, but at a very listenable volume down to a very quiet volume they have incredible micro-dynamics that helps convey the emotional content of the music. I want to congratulate John and the rest of the team at Audience for caring enough to make such a wonderful tiny speaker. I compared them to some small speakers in the review, but in many ways they remind me more of the Quad 57. 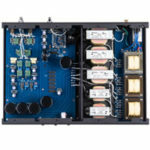 If you have a space or a need for a small speaker that really is high-end, then you must hear The ONE from Audience.